Associates of convicted Wall Street swindler Bernard Madoff knew he was scamming his clients but joined in anyway because of the big money they could make, a securities investigator testified in a sworn affidavit for a Connecticut court. 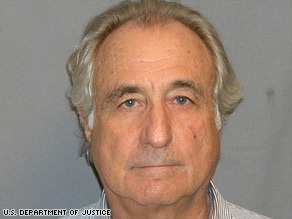 The testimony by investigator Edward H. Seidle on Tuesday came as a Connecticut judge froze the funds of Madoff and several of his business associates as part of a lawsuit filed for members of a city’s retirement fund who say they invested with companies linked to Madoff. In his affidavit, Seidle said Madoff’s associates — specifically the so-called “feeder funds” that handled money for Fairfield, Connecticut’s retirement plan — should have known that he was cheating his clients. “It is my opinion … that [the funds and their principals] were all aware that Bernard L. Madoff was engaging in illegal conduct in connection with his purported money management operations and intentionally chose to participate and support Madoff’s illegal conduct in order to reap enormous illicit financial benefits,” he stated. He named feeder funds Tremont Properties, Maxam Capital, their principals and their affiliates in the affidavit. Madoff, 70, pleaded guilty in March to 11 federal counts, including fraud, money laundering and perjury, and faces up to 120 years in prison. He is to be sentenced in June. Those prevented from liquidating any assets by Superior Court Judge Arthur Hiller’s order include Madoff’s wife, his sons and his brother, Peter. Similar freezes have been ordered by judges in other suits by the roughly 4,000 alleged victims of Madoff’s $50 billion Ponzi scheme. Seidle said the people who ran the funds appear to have intentionally ignored red flags about how Madoff worked that anyone with their level of expertise would have noticed. He noted that, for years, fund managers with similar levels of training and experience had been suspicious of the amount of money Madoff had been able to earn and had avoided working with him. Madoff paid fees to the firms far above normal and demanded an unusual amount of secrecy, Seidle said.